Casilda “Cass” Evelyn Martin, aged 68, passed away peacefully on Friday, August 17, 2018 at her home in Orlando, Florida, after a brief struggle with cancer. Cass was born on September 13,1949 in Kingston, Jamaica, West Indies. She was the fourth of five daughters born of Cleveland Williams and Mary Williams. Casilda was raised by a mother who had a deep, abiding love of her Lord and Savior, Jesus Christ. Cass inherited the spiritual legacy of her mother,a woman who was meek and quiet in temperament, but powerful in the Christ. Cass’ quick wit, easy smile and light-hearted personality was reminiscent of her father, who believed in working hard, and playing (and dancing) even harder. Cass grew up in Jamaica where she attended the Church of God, serving in the church youth groups, and even serving as secretary for one the groups. She is a graduate of Excelsior High School in Kingston, Jamaica where she studied on a full academic scholarship. Cass immigrated to the United States in 1970 where she met her late husband of 41 years, Philip George Martin. The couple married in December 15, 1973, and settled in Roselle, New Jersey where they raised their two children, Patrice “Nikki” and Phillip. Cass studied at Drake Business School and Essex County Community College. Cass enjoyed a career as a real estate agent for 25 years, and for 18 of those years, she held a second job as a gate agent for United Airlines before retiring in 2016. Her most cherished work, however, was her service to the Lord. 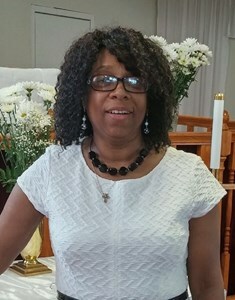 As a member of Brothers and Sisters of Zion Revival Church in Newark, New Jersey, Cass worked diligently, serving as secretary, choir member, missionary, planning committee and board member. In September of 2015, Cass was ordained as a deacon by the pastor of her church, Bishop Reverend Doctor Federica Hernandez. In 2016, Cass moved to Orlando, Florida to be closer to family, where she continued to serve her Lord as a member of Antioch Missionary Baptist Church. During the last few years of her life, she devoted all of her time to her children, grandchildren, sisters and nieces. When she wasn’t with her family, you might find her planning her next adventure to a destination on the other side of the world. Cass loved to travel and had visited many countries, including Paris, China, Japan and Thailand (to name a few). Devon “DJ” F. Beneby Jr.
Add your memories to the guest book of Casilda Martin. Martin and family my sincere condolences I know exactly how you feel just recently 2 yrs ago I lost my beloved mother also. Just remember brother that the Lord has gained an angel and be for sure that we will meet with them again you’ll see your mom free of cancer and I will see my mom walking with her two legs again. Prayer for the whole family and again I’m sorry for your lost. God bless the Martin family.